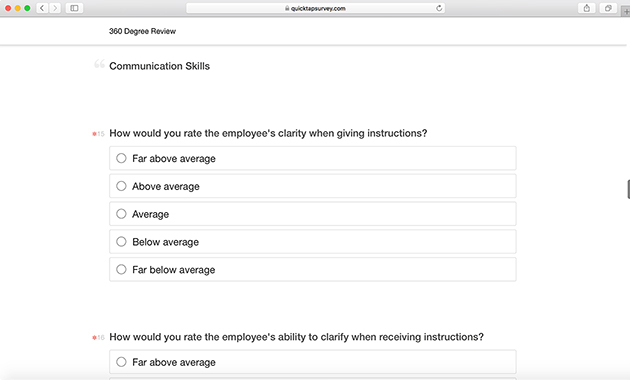 Why Use a 360 Review Survey? This survey provides feedback from multiple perspectives within an organization. Most performance reviews are hierarchical and conducted in a top-down fashion between supervisors, managers, and team members. 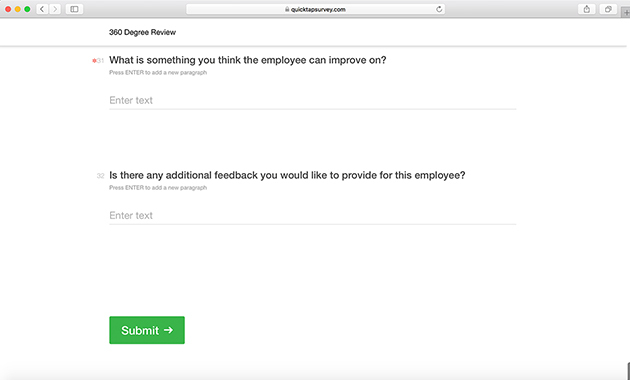 A 360 review survey gathers anonymous feedback from every perspective. 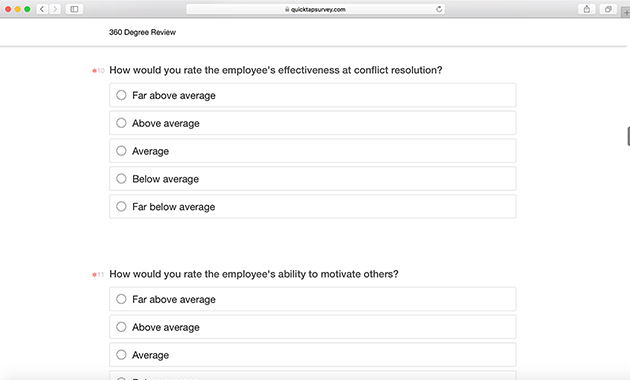 These surveys provide useful data from everyone involved with an employee, including peers, managers, supervisors, support members, and team members. The information is anonymously collected from all levels to provide a complete picture of the employee. 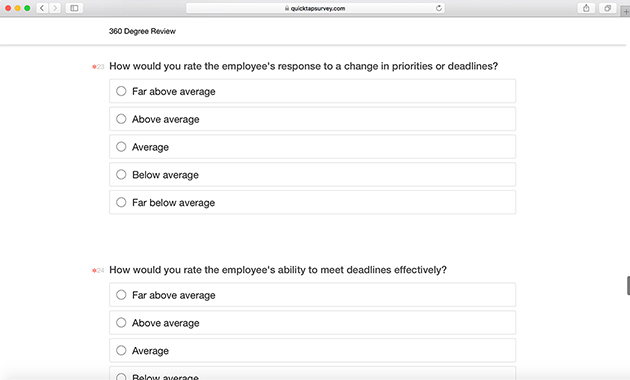 What are 360 Review Survey Questions? How well does this person delegate or take ownership of tasks? Do delegated tasks have clear objectives with measurable benchmarks? How well does this person listen and communicate? How well does this person give and receive feedback? How well does this person organize their time and the time of others? How would you describe this person’s attention to details? How well does this person brainstorm new ideas? How would you evaluate this person’s problem solving skills? How well does this person handle stress? How well does this person contribute in group work? Would you describe this person as empathic? 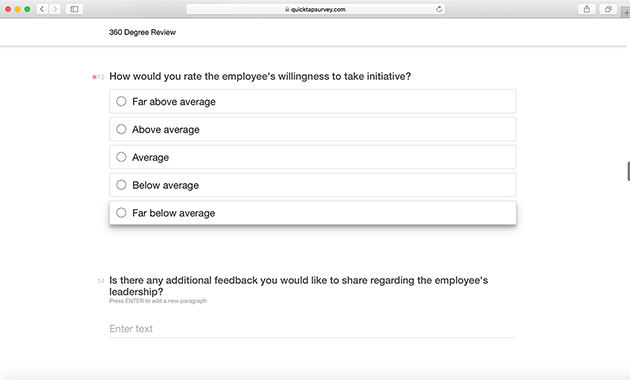 Each 360 review survey should be specific to an organization. 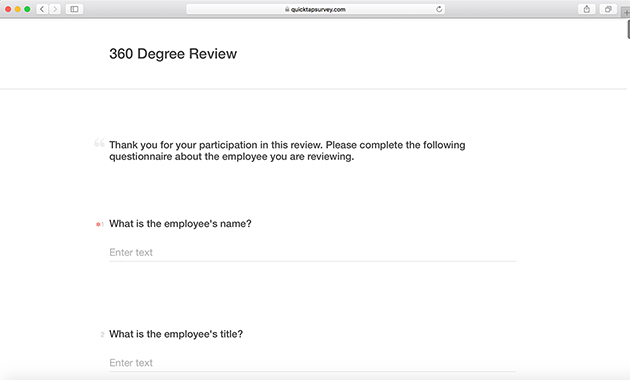 Customize and use this 360 review template to get started.